If there is a modern jet that is good looking with some of it's own unique charm well the french designed and built Rafale is the one we would choose - sleek lines and a pretty capable machine has proved itself recently in conflicts around the globe - and now the Revell kit in 48th scale is up for evaluation by our man Gary (who has built the earlier kit in the series so is no stranger to the kit) in today's review. 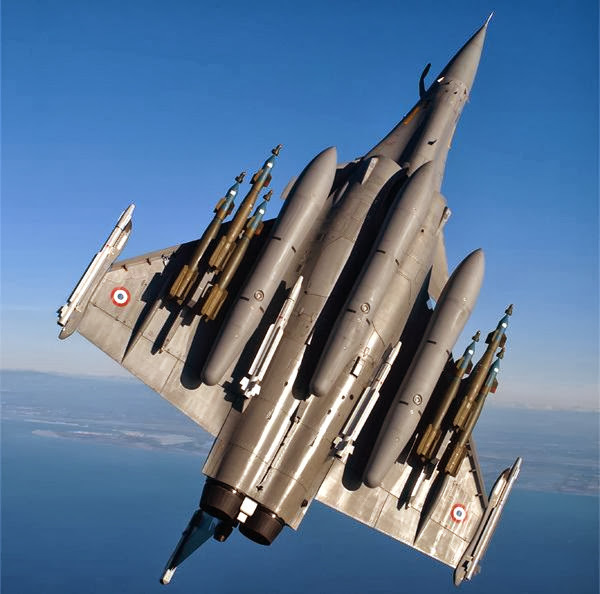 The Dassault Rafale is a French twin-engine, canard delta-wing, multirole fighter aircraft designed and built by Dassault Aviation. 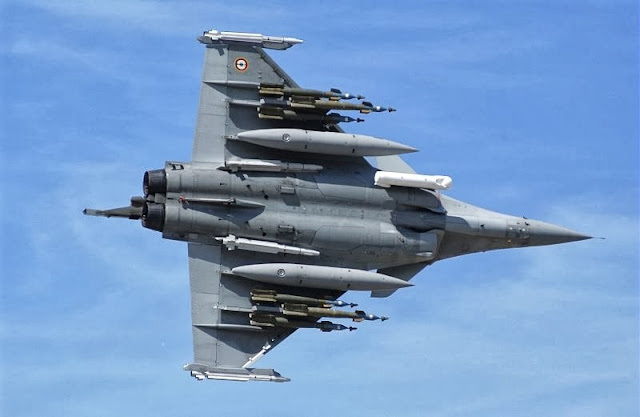 Dassault describes the Rafale as being an omni-role fighter, with a high level of agility, capable of simultaneously performing air supremacy, interdiction, reconnaissance, and airborne nuclear deterrent missions. 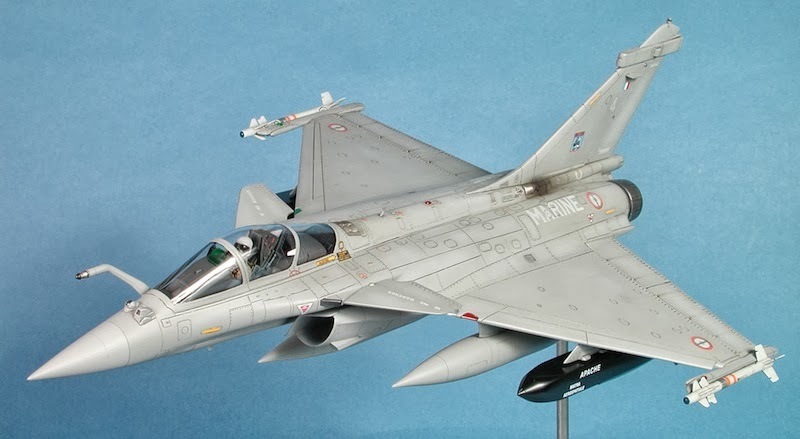 The Rafale is an extremely interesting modeling subject to me as its one of the few modern NATO aircraft that has consistently seen actual combat duty in the last few years. 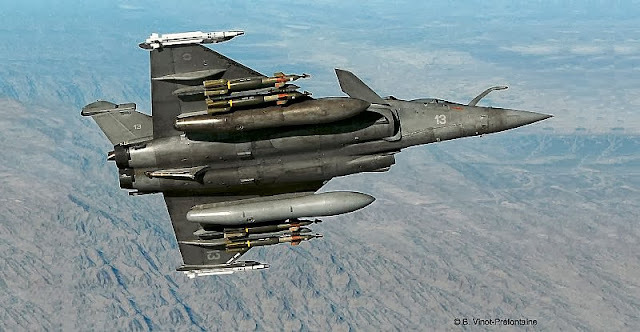 In 2007, after a "crash program" enhancement six Rafales were given the ability to drop laser-guided bombs, in view of engaging them in Afghanistan. 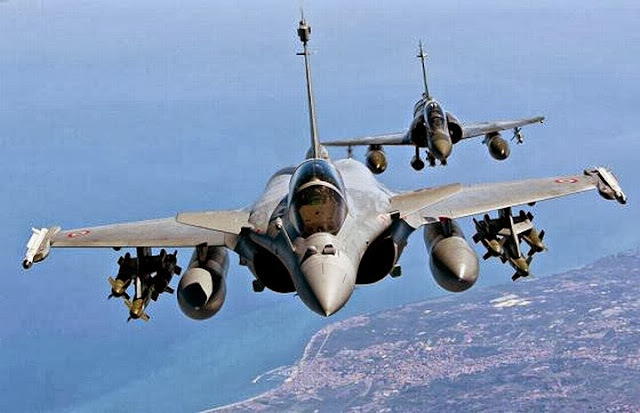 The first mission occurred on 12 March 2007, and the first GBU-12 was launched on 28 March in support of embattled Dutch troops in Southern Afghanistan, marking the operational début of the Rafale. 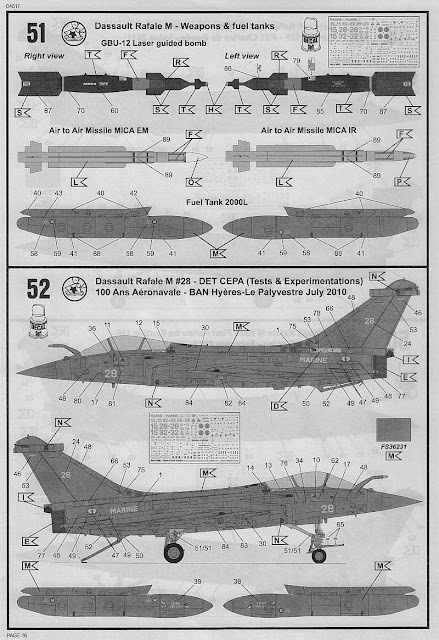 Revell first released its 1/48 Rafale M kit back in 1999. 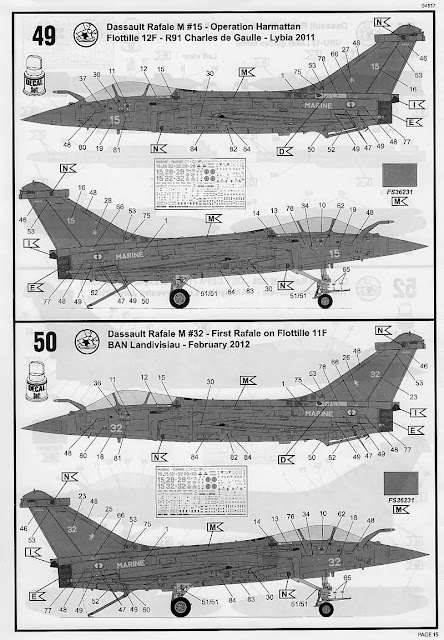 This was actually before the French Navy was operational with the Rafale and the kit was supplied with two sets of markings, one for the prototype and the other for Flotille 12F. 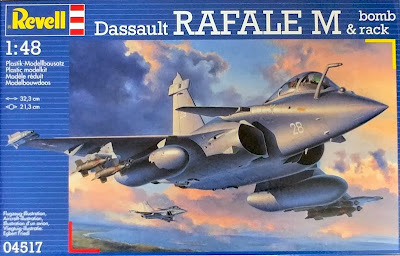 Fast forward to 2012 and as discussed above the Rafale has now been involved in many combat operations and cleared for delivery of many advanced weapons systems since the initial 1999 Revell kit release. 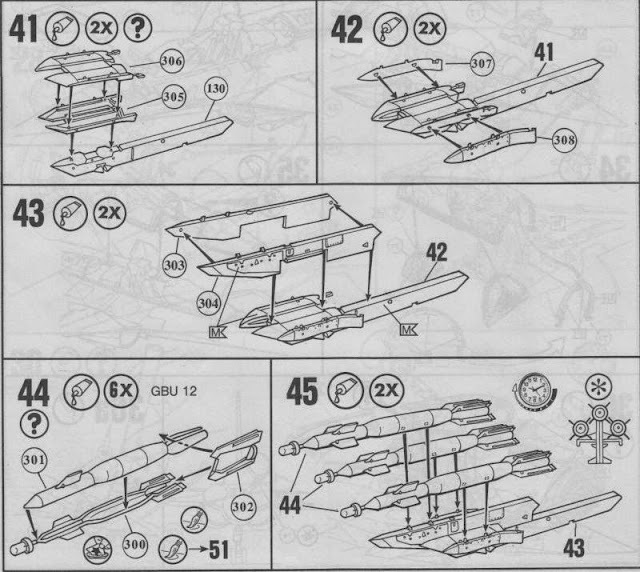 Revell has quite cleverly “tweaked” the original kit (which after all was an accurate representation of the basic airframe) with an added weapons sprue (containing 6 x GBU-12 with racks), some minor airframe updates for an operational aircraft and a new sheet of decals to represent operations over Libya etc. 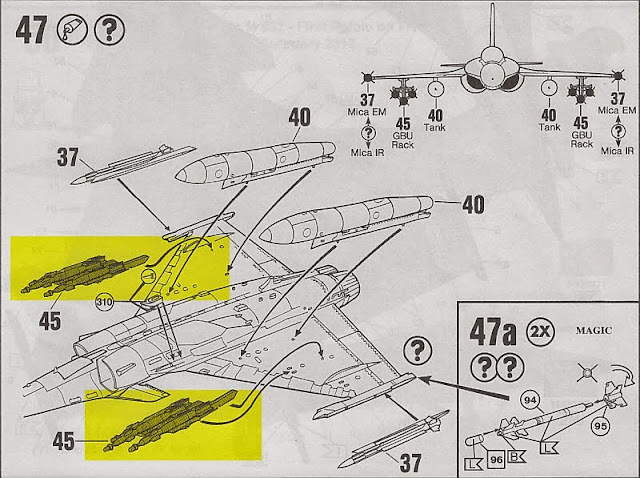 In this review of the new 2012 kit I do not plan to cover the basic kit as released back in 1999 but concentrate on what’s new in this updated release. 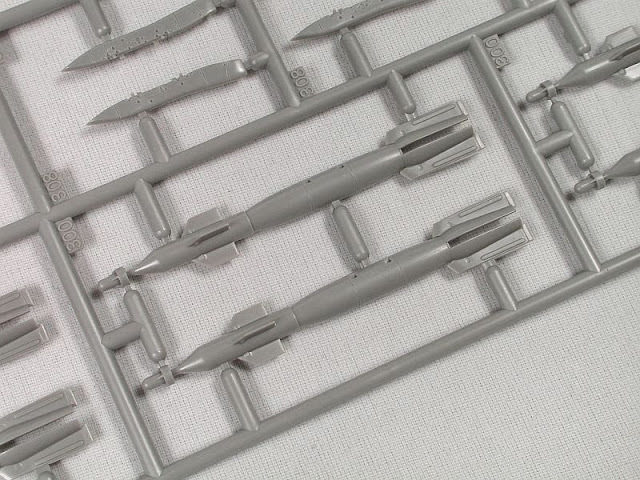 The kit comprises five (5) light grey sprues, of these one is entirely new (the GBU-12 and rack sprue) and two of the remaining 4 have been slightly updated since the 1999 release. The main instrument panel (part 99) was originally cast in clear plastic but has now been moved to a standard grey plastic sprue. 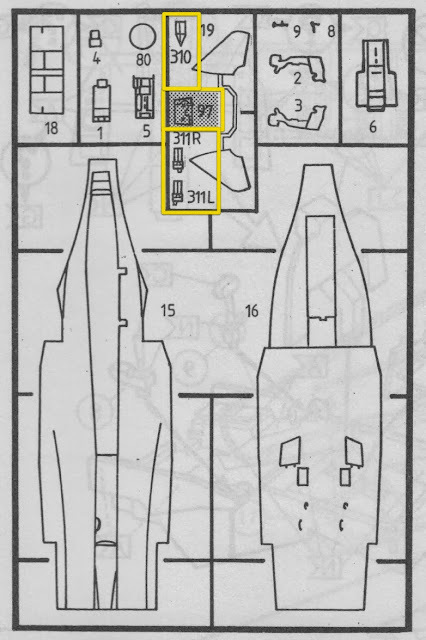 Parts 311L, 311R and 310 are new and represent sensors fitted to the Rafale since its introduction into French Navy service. 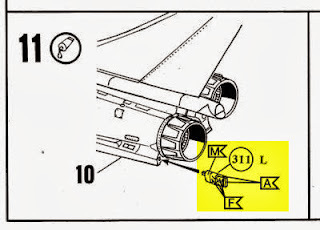 I am not sure but assume these would all be part of the SPECTRA (Système de Protection et d'Évitement des Conduites de Tir du Rafale or "Self-Protection Equipment Countering Threats to Rafale Aircraft") system. 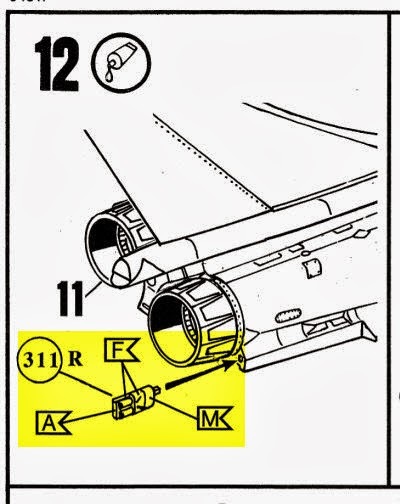 Parts 311R and 311L are fitted to the left and right of the exhaust nozzles as per assembly steps 11 and 12. 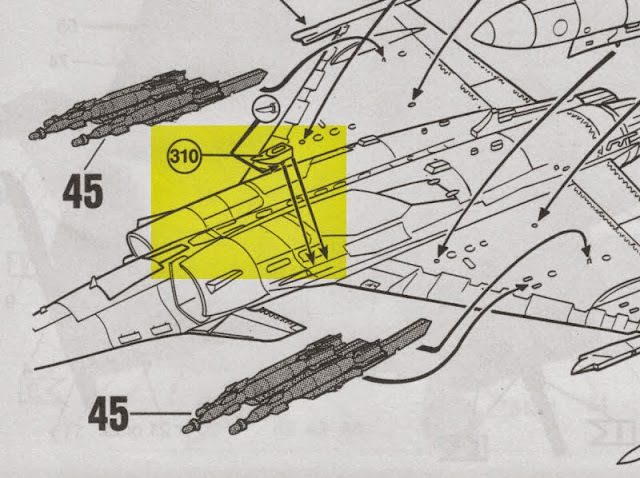 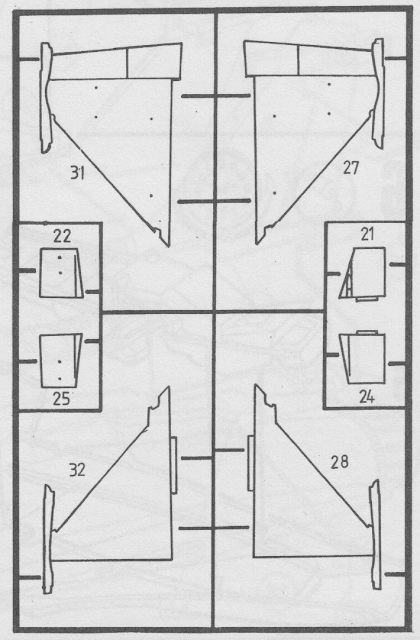 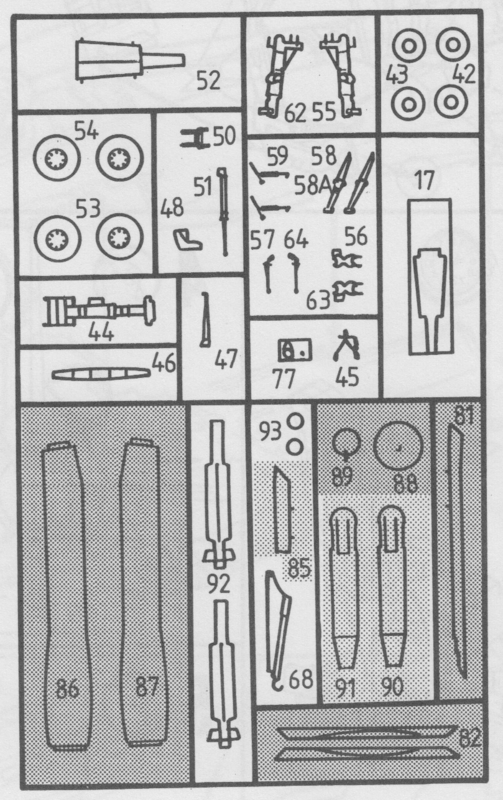 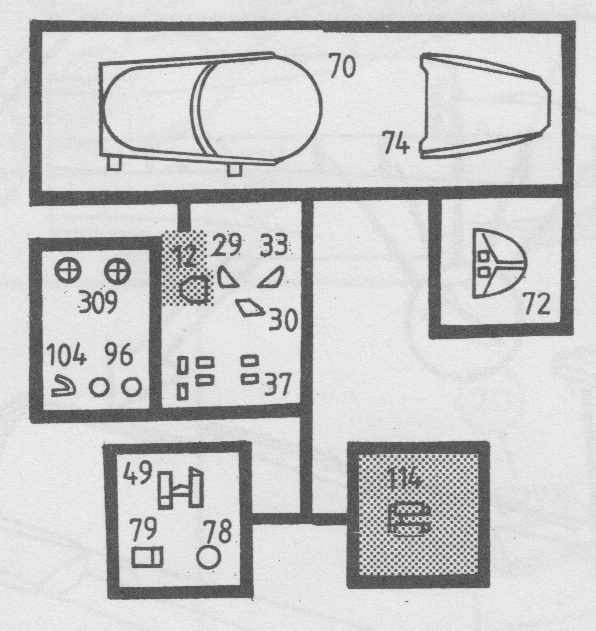 It’s a pity that Revell did not provide details parts for the chaff/flare dispenser bays on the rear fuselage, but in their defence this would have probably meant tooling new fuselage parts and would have been way too costly for essentially a re-pop of the kit. All is not lost as upgrade parts are available in resin from Wolfpack Design for those wishing to go one step further in building an F1 or F2 Update standard Rafale. 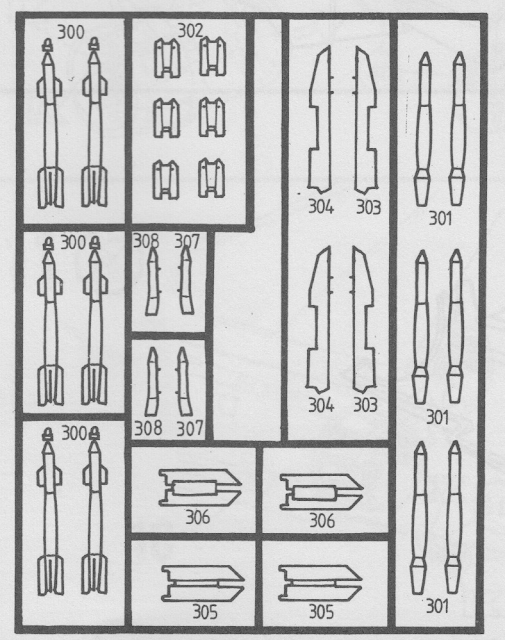 The new weapons sprue provides 6 x GBU-12 500lb laser guided bombs as commonly seen fitted to Rafales over Libya and Mali. 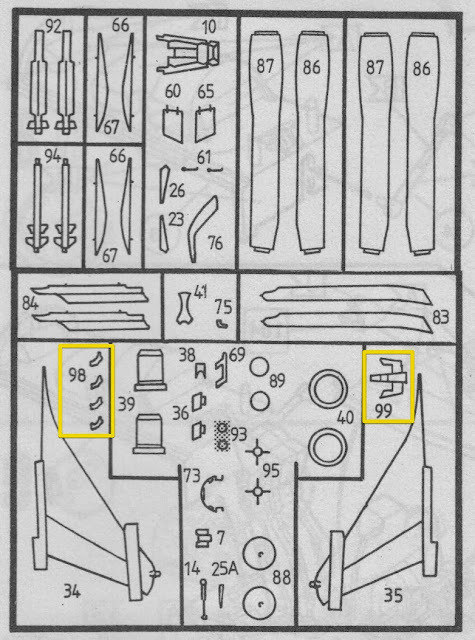 The assembly steps for the bombs and racks are covered in steps 41-45. 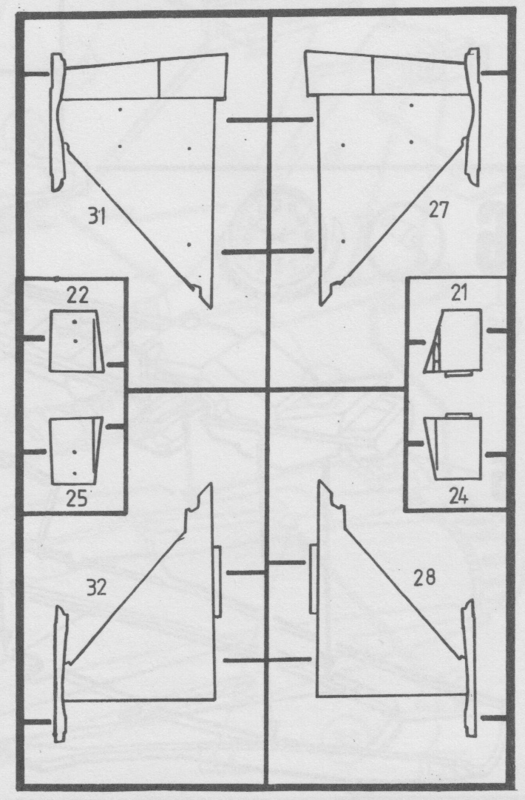 The end result is a fairly impressive payload that would give any ground target on the receiving end a headache for a day or two. 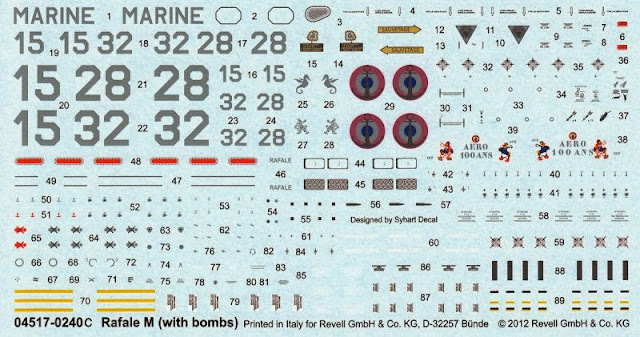 With the new release of this kit Revell has given us three (3) new decal marking options that are ideally suited for a fully bombed up Rafale M.
The actual decal sheet itself appears to be printed using the same “matt” finish used on all Revell decals of late and that to my mind is not a good thing. 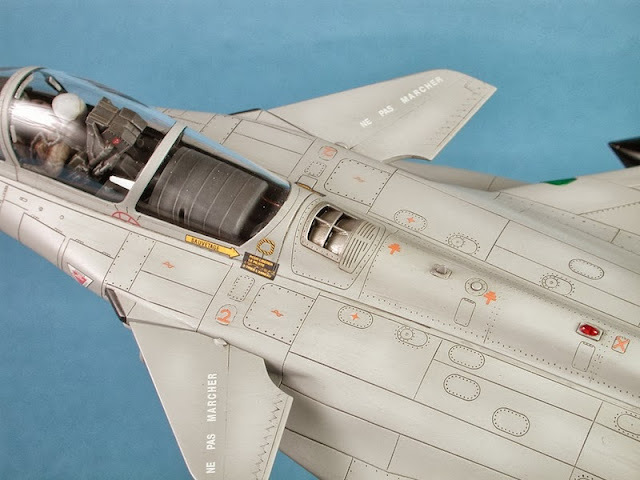 I have had poor results with Revell kit decals often seeing excessive silvering etc. 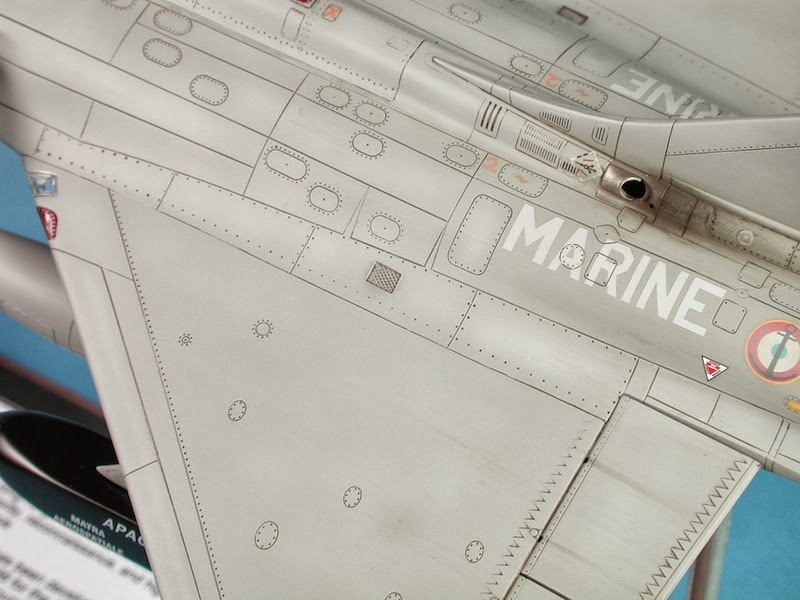 I note the decals are printed in Italy but they do not look or behave like Cartograf. Overall I’d say this is a timely re-release by Revell of their original Rafale M with sufficient extra parts to make it worthwhile for modellers (even those like me who built the original kit) to consider building a production level, combat ready Rafale. 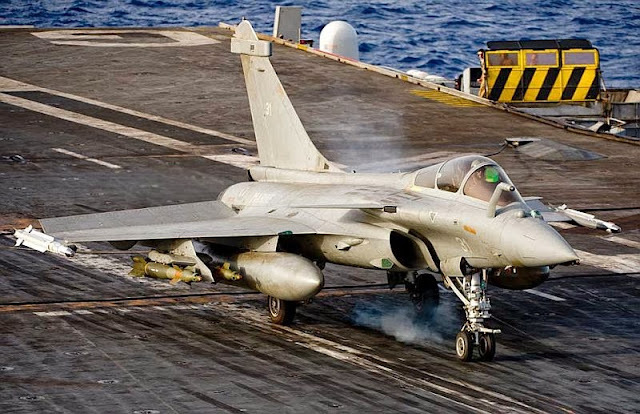 The thing that interests me most about building another Rafale is that they have now been in service long enough to have gotten worn and grimy just like a war machine should be.